Every child who listens to you teach each week assumes that what they are hearing is Biblical. This is a great responsibility that no children’s ministry leader should take lightly because as teachers we have the potential to impact the lives of the children in our ministries. This is why Scripture gives us the exhortation to practice discernment. 1 Thessalonians 5:21 says “but examine everything carefully; hold fast to that which is good…” Paul’s exhortation is very clear. We must examine EVERYTHING carefully and only retain what is good. There is no greater opportunity to practice discernment then in our next purchase of the curriculum for our children’s ministry. If we were to walk into a modern Christian book store and look through the children’s ministry section we would find dozens and dozens of different curriculum. We could find everything from sunday school, V.B.S., to every kids program in between; all with bright colors, funny looking characters or smiling children on the packages. 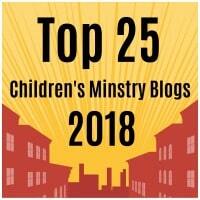 The question then becomes which one is right for my children’s ministry? Many times we first incorrectly look for the fun factor. Does this curriculum come with funny videos? Does it have catchy songs? Does it come with great take home worksheets? These questions are important, but the fun factor should always take second place to the question, is this material Biblical? Every curriculum in the book store claims to be Biblical, but how can you be sure? The answer is very simple. Examine everything! What do I examine it against? The answer again is simple, all of Scripture. We must examine ALL curriculum through the light of Scripture to see if they are faithful to God’s Word. This is why discernment is so important. No matter how fun and entertaining a program seems, if it is not Biblical then it is no good. It does not matter who the author, publisher or company is. Why because only Scripture has the power to transform and save the kids in your ministry. If your curriculum is not Biblical then all that you are teaching is the opinion of the author, not the powerful and transforming Word of God. So the next time you are shopping for new curriculum for your children’s ministry I exhort you to examine everything carefully against the light of Scripture to see if it is Biblical. Always keeping in mind the great responsibility that you have as a children’s ministry leader. If the curriculum passes the Biblical test, then have fun looking for the one with the great worksheets, entertaining videos and catchy songs. This entry was posted in Articles, Teaching and tagged biblical, childrens ministry, curriculumn, discernment, kids, material, teach, teaching.